This photograph of houses on Kronprinsessegade in Copenhagen was taken from the King’s Garden walking across to the National Gallery - to Statens Museum for Kunst - to see their major exhibition on the work of the Danish artist Christoffer Wilhelm Eckersberg on the last weekend before it closed. Eckersberg was born in 1783 in Schleswig - then part of Denmark - and moved to Copenhagen in 1803 to study at the Royal Danish Academy of Fine Arts. He would certainly have known the King’s Garden and these houses. This large area of avenues and formal planting had been the private garden of the King’s house of Rosenborg, built in the early 17th century and just outside the city walls, but was opened to the public in the late 18th century and the iron railings and pavilions, between the gardens and the street, designed by Peter Meyn, date from about 1800 … so just before Eckersberg arrived in the city. Historiske Huse, a catalogue of historic houses in the city, that was published by the National Museum in 1972, indicates that these fine town houses date from the first decade of the 19th century and were part of the expansion of the city to the north in the late 18th century and early 19th century. The National Gallery did not move to its present building until the 1890s and, through the 19th century, the royal collection of paintings, the core of the National Gallery collection, was housed in the Christiansborg Palace on the opposite side of the city but the Royal Academy, where Eckersberg studied, was in the Charlottenborg Palace on Kongens Nytorv just a few blocks from the gardens. The Academy had been established in the Palace in 1753 and is still in that building. After a period at the Academy as a student, Eckersberg travelled first to Paris in 1812 to study under the artist Jacques-Louis David and then on to Rome where he remained until 1816. Back in Copenhagen he returned to the Academy and was appointed to a professorship in 1818. As a product of the Royal Academy and as a teacher Eckersberg did produce grand paintings of historic and classical scenes but he is better known now for his portraits of wealthy middle-class families of Copenhagen society and for marine landscapes and for studies of his city and of his family. He lived in an age noted for rational investigation and he knew and associated with contemporary scientists - men like the physicist Hans Christian Ørested whose portrait he painted in 1822. Linked to scientific observation, an interesting areas of the exhibition at the National Gallery were the cloud studies by Eckersberg and his drawings and studies of perspective including a modern version of the viewing screen with gridded glass that he used for drawing in the landscape and a copy of notes and instructions on perspective for his students produced at the academy. By comparing preparatory sketches and the paintings completed in the studio you could see that in the finished works he rationalised the view to create distinct planes, rather like theatre sets, so that more distant features could be pulled forward and given more emphasis. This might sound as if the works were therefore not strictly naturalistic but in fact he simulated well what the human eye does so well naturally … how often have people taken a landscape photograph and realised that a distant feature, quite clear to the human eye, looks more distant and much smaller in the photograph but then if a zoom lens is used, the distant feature looks more like what the eye can focus on but the width of view suddenly looks much narrower. Eckersberg used the same rationalisation and the same sharp observation in his portraits and his drawings of interiors. In these works, you see some of the well-established and prosperous families of Copenhagen but remarkably little ostentation or show. Clearly, in part, that is because of the style in clothes at this period, with little expensive lace or ornate embroidery, but as with the uncluttered interiors you can see the expression of wealth in high-quality materials and well made clothing and furniture. The interiors themselves seem surprisingly but deliberately simple with shutters, rather than draped curtains, or at most blinds at the windows and stripped plain floors and unified and straight-forward colour schemes with all the panelling one flat and quite dark colour or at most one colour below the dado and a second colour for all the panelling and the cornice above the dado rail. There seem to be relatively few pieces of furniture in each room but that furniture is relatively restrained but clearly of good quality. Similarly with the houses of this period, typical examples being those looking down into the King’s Garden, which are sober and elegant with carefully spaced windows and features such as doorways with columns that are based on classical precedents. Solid and respectable. Does this sound familiar? 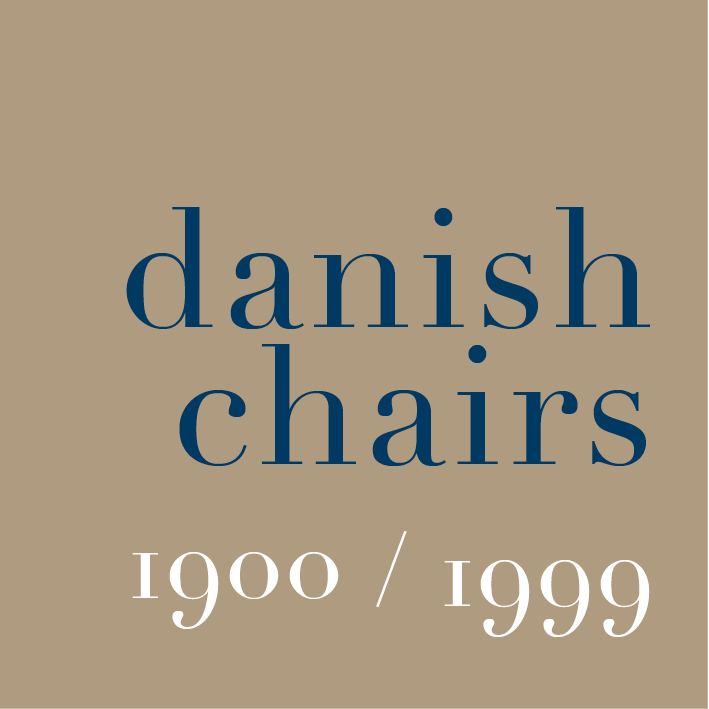 I would not go so far as to suggest that what is called the classic period of Danish design from the 1950s and 1960s - the work of Arne Jacobsen, Hans Wegner or Finn Juhl - looked back to the first half of the 19th century in terms of style but at least you can see through the works of Christoffer Eckersberg an important stage in the development of middle-class Danish taste that can be seen echoing still in the best modern furniture and interiors in Denmark.